The photo above is of a solo tour I did back about 13 years ago. 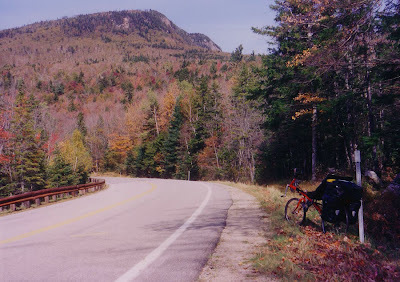 Heading North on a recumbent for an adventure was something new for me and Exactly what I wanted to do. Although I ws sure that it had been done before, I had never heard of any customer or friend doing such a crazy trip. 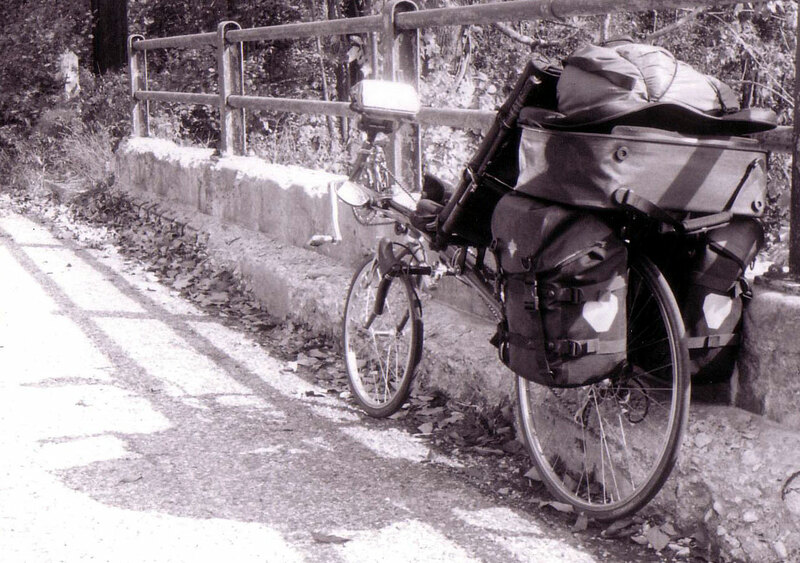 This was about as extream as I could think of for use of my new style of bicycle and sport. Getting info about what I might getting myself into from normal touring was imposable, but as you might guess, nothing special was needed except the nerve of doing something differnt and the risk of being thought of as a nut! Packing for a trip like this is like any other, put everything you want to take on your bed, then put 3/4 of it away. Every trip I have done I have over packed and end up ether throwing stuff away or mailing it home while on route to lighten the load. That said, I packed 3 cameras, rain gear,a change of clothing shaving kit and headed out. Two weeks on the road, 3 states and an experance of a lifetime. I had done the ride before on other styles of bicycle but for the first time I actually saw everything as I rode. Thiigs I never noticed on the first trip. The heads up style of riding had me sold. Meeting new people along the way, I had drivers pass me and stop ahead to ask where I got the bike and was it hard to ride. There is nothing like the thrill of 45 miles per hour downhill with an "Under Seat Steering" Recumbent! Where do all the Hippys Meet?